Gaskin uses his small frame to his advantage, hiding behind the offensive line while he patiently looks for a running lane. After Gaskin finds his running lane it’s not easy to bring him down due to his low center of gravity and lateral quickness. For example, vs Oregon he took the handoff outside the left tackle and made his way to the other side of the field leaving defenders diving left and right trying to take him down as he gained 27 yards on the ground. Gaskins passion for the game is what really jumps out. Down two scores vs Stanford late in the 4th QTR Gaskin races outside the RT and with no regard for his well being, dives for the pylon getting his third touchdown on the day. Gaskin is a matchup nightmare. He can line up anywhere on the field RB, SWR, WR, sometimes he took snaps at QB in wildcat formation and always had a positive impact on the play. The biggest weakness for Gaskin is his size. Gaskin is listed at a generous 5’10” and 194 Lbs. This paired with his lack of breakaway speed NFL scouts will be hesitant to take him early in the draft. Myles Gaskin is a well rounded running back that doesn’t shy away from contact. Whenever Gaskin is on the field there’s a chance something good will happen. He can be a nice weapon as a pass catcher out of the backfield or lined up out wide or in the slot. Gaskin is also a very competent pass protector. Despite his size Gaskin holds his own and picks up the blitz with no fear. 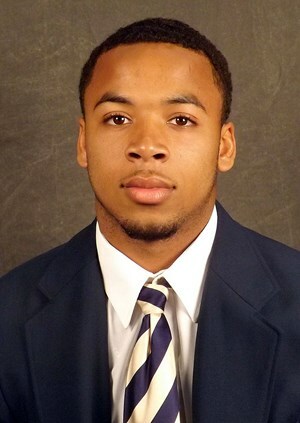 Myles Gaskin also set the Washington career rushing record against Auburn, passing Chris Polk with 4,130 yards. He is 139 yards behind Kadeem Carey and 170 yards behind Stepfan Taylor for eighth and seventh among PAC-12 player all-time. Rushing: 7 carries, 60 yards (18 long), 0 TD, 26 YAC, 0 FUM. Receiving: 5 targets, 5 receptions (77 yards), 1 TD, 42 YAC, 17.0% target rate. Rushing: 9 carries, 38 yards (11 long), 1 TD, 16 YAC, 0 FUM. Rushing: 8 carries, 54 yards (28 long), 2 TD, 5 YAC, 1 FUM. Receiving: 2 targets, 2 receptions (8 yards), 1 TD, 4 YAC, 7.0% target rate. Rushing: 27 carries, 208 yards (57 long), 2 TD, 47 YAC, 0 FUM. Receiving: 2 targets, 0 receptions (0 yards), 0 TD, 0 YAC, 10.0% target rate. Rushing: 15 carries, 117 yards (32 long), 1 TD, 44 YAC, 0 FUM. Receiving: 2 targets, 1 receptions (8 yards), 0 TD, 6 YAC, 6.0% target rate. Rushing: 24 carries, 92 yards (12 long), 2 TD, 33 YAC, 0 FUM. Receiving: 1 targets, 1 receptions (2 yards), 0 TD, 0 YAC, 2.0% target rate. Rushing: 14 carries, 69 yards (17 long), 0 TD, 21 YAC, 0 FUM. Receiving: 2 targets, 2 receptions (7 yards), 0 TD, 5 YAC, 7.0% target rate. Rushing: 27 carries, 170 yards (36 long), 1 TD, 52 YAC, 0 FUM. Receiving: 2 targets, 1 receptions (5 yards), 0 TD, 3 YAC, 17.0% target rate. Rushing: 17 carries, 125 yards (34 long), 1 TD, 20 YAC, 0 FUM. Rushing: 18 carries, 120 yards (17 long), 3 TD, 34 YAC, 1 FUM. Rushing: 17 carries, 55 yards (9 long), 2 TD, 16 YAC, 0 FUM. Receiving: 6 targets, 6 receptions (114 yards), 1 TD, 88 YAC, 17.0% target rate. Rushing: 25 carries, 196 yards (64 long), 4 TD, 66 YAC, 0 FUM. Rushing: 14 carries, 99 yards (69 long), 2 TD, 10 YAC, 0 FUM. Receiving: 2 targets, 1 receptions (4 yards), 0 TD, 2 YAC, 7.0% target rate. Rushing: 17 carries, 76 yards (27 long), 0 TD, 0 YAC, 0 FUM. Receiving: 3 targets, 0 receptions (0 yards), 0 TD, 0 YAC, 9.0% target rate.